AVAILABLE NOW - Fatal Chaos! Sam and Nick's story began way back in 2007 when Marie read about a congressman who'd been found dead in his Washington, D.C.-area home. At first, his death was investigated as a possible crime but it was later determined he died of natural causes. But if he had been murdered, who would've had jurisdiction over the case? That question led to Sam and Nick and the rest... Well, there's no end in sight for our favorite D.C. homicide detective and her politician husband. We hope you enjoy Sam and Nick's wild ride AND the brand new book jackets! Please indicate how you would like them inscribed in the comments field of your order. Escaping DC during the dog days of summer is one of the smartest moves Washington metro police lieutenant Samantha Holland ever made. Beach walks aren't quite as romantic with the Secret Service in tow, but Sam and her husband, Vice President Nick Cappuano, cherish the chance to recharge and reconnect--especially with a scandal swirling around the administration.No sooner are they back home than a fatal drive-by shooting sets the city on edge. The teenage victim is barely older than Sam and Nick's son, Scotty. As more deaths follow, Sam and her team play beat the clock to stop the ruthless killers. With Nick facing his greatest challenge--one that could drastically change all their lives and even end Sam's career--will the mounting pressure deepen or damage their bond? 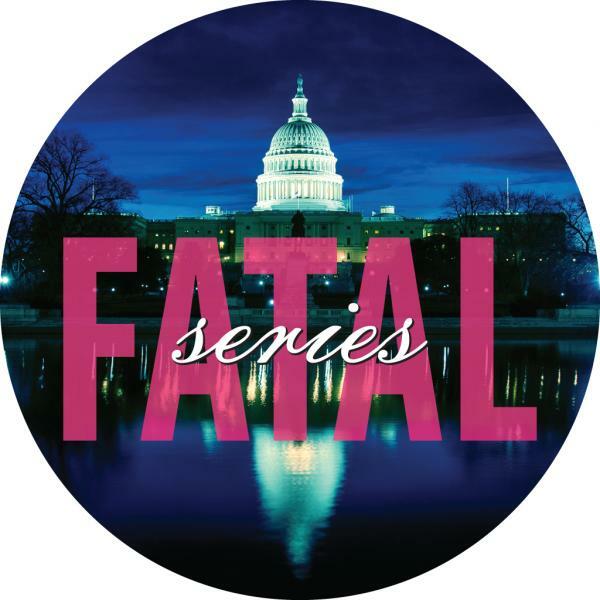 Detective Sergeant Sam Holland of the Washington, D.C., Metro Police needs a big win to salvage her career--and her confidence--after a disastrous investigation. The perfect opportunity arises when Senator John O'Connor is found brutally murdered in his bed, and Sam is assigned to the case. Matters get complicated when Sam has to team up with Nick Cappuano, O'Connor's friend and chief of staff...and the man Sam had a memorable one-night stand with years earlier. Their sexual chemistry still sizzles, and Sam has to fight to stay focused on the case. Sleeping with a material witness is another mistake she can't afford--especially when the bodies keep piling up. Standing over the body of a Supreme Court nominee, Lieutenant Sam Holland is hip-deep in another high-profile murder case. The fact that she was one of the last people to see Julian Sinclair alive just complicates things even more. On the plus side, her relationship with Senator Nick Cappuano is heating up--but it's also attracting a lot of unwanted media attention and blinding flashbulbs. Back from their honeymoon, Senator Nick Cappuano and DC Police Lieutenant Sam Holland are ready for some normalcy after the whirlwind of their wedding, but someone has other plans for them. When Sam discovers wedding cards containing thinly veiled death threats, she's not sure if she or Nick is the target. Already on edge, Sam and her team start investigating a series of baffling murders. The victims are well liked with no known enemies, and the murders are carried out in a clean and efficient manner. Unable to find a clear motive for the deaths, she feels as if she's chasing her tail. With no obvious connection between the victims, Sam soon suspects that "she" may be the ultimate prize in the killer's clever game. When the danger starts to hit a little too close to home, she has two goals: find the elusive murderer and manage to live long enough to enjoy her happily-ever-after. The wife of the White House deputy chief of staff has been beaten to death, and their one-year-old daughter is missing. DC police lieutenant Sam Holland is in charge of the murder investigation, but she's forced to collaborate with Special Victims Unit detectives as well as thorn-in-her-side FBI special agent Avery Hill. Then, a cold case of her father's resurrects old hurts--a distraction Sam cannot afford. As Sam's investigation heats up, so does Nick's political career--and the heat carries over to their bedroom. Will Sam put the pieces together in time to catch a killer and find the baby, or will ambition, greed and lies prove fatal? DC is recovering from angry riots after one player's mistake blew the DC Federals' chance at the World Series, and Lieutenant Sam Holland is determined to unravel the twisted web of motives behind the star center fielder's death. Was it a disgruntled fan, a spurned lover or a furious teammate? While Sam digs through clues, her husband, US Senator Nick Cappuano, fights for his political life in the final days of his reelection campaign as financial irregularities threaten his future. It's a distraction Nick can ill afford with Sam in the midst of another high-profile murder investigation and both of them trying to help their adopted son, Scotty, cope with the murder of a ballplayer he admired. Determined to bring the killer to justice, Sam must root out the truth before another mistake proves fatal. Washington, DC, police lieutenant Sam Holland and her husband, US senator Nick Cappuano, have been looking forward to a quiet Thanksgiving with their son. But any thoughts of a restful holiday are dashed when Sam and Nick return home to a gruesome scene: Sam's seventeen-year-old niece Brooke, barely conscious and covered in blood on their front stoop. With lines between personal and professional blurring in this emotionally charged, deeply personal case, Sam is relying on Nick more than ever for support. But when suspicious images from the night in question appear on social media, Sam begins to wonder if her niece is telling her everything she knows about what really happened. And when Nick questions her tactics--and her ethics--as she races against the clock, Sam will need to decide how far she's willing to go to prove Brooke is a victim, not a murderer. As a new year dawns in the capital city, dual scandals rock the Metropolitan Police Departmentand Lieutenant Sam Holland is right in the middle of them. Her chief is catching heat for the way he handled a recent homicide investigation, and one of her detectives is accused of failing to disclose an earlier connection to the judge who decided his custody hearing. When the custody fight turns deadly and her detective has a shaky alibi, Sam must defend "two" of her closest colleagues. All while her husband, Vice President Nick Cappuano, settles into his new office at the White House. Nick begins to wonder if the president is using him for a political boost, and his worries mount over a complication in their adoption plans while Sam is being put through the wringer by the always-rabid DC press corps. As the evidence against her friend piles up, Sam suspects someone is gunning for herand her team"
Lieutenant Sam Holland is on leave, recovering from an attack that shook her to the core. With no case to distract her, she's trying to stay busyeven voluntarily meeting with her new White House staff. But it's not enough to keep the horrific memories at bay, and her family is worriedespecially her husband, Vice President Nick Cappuano. Nick is dealing with his own demons where his wife's safety is concerned, losing night after night of sleep as he works to make sure what happened that day will never happen again. The pressure is building inside the Cappuanos' marriage, and something's got to give before Nick takes the oath of office. When two college girls go missing in the midst of inauguration madness, the chief of police needs the one cop he can count on to find them and save the Metro PD from disgrace. In a case full of ugly twists and turns, Sam will have to confront her past and find her strength againbefore it's too late. As the first anniversary of her marriage to Vice President Nick Cappuano approaches, Lieutenant Sam Holland is dreaming of Bora Borasun, sand and a desperately needed break from the DC grind. But real life has a way of intervening, and Sam soon finds herself taking on one of the most perplexing cases of her career. Government worker Josh Hamilton begs Sam to investigate his shocking claim that his parents stole him from another family thirty years ago. More complicated still, his "father" is none other than the FBI director. When a member of Josh's family is brutally murdered, Sam begins to question how deep this cover-up goes. Is it possible the revered director was part of a baby-napping ring and that others involved are also targets? With a killer intent on deadly revenge and her team still reeling from a devastating loss, Sam's plate is fulland when Nick and their son, Scotty, take ill, is her dream of a tropical anniversary celebration in peril too?" It's just another day at the office for Washington Metro Police lieutenant Sam Holland when a body surfaces off the shores of the Anacostia River. But before Sam can sink her teeth into the new case, Secret Service agents seize her from the crime scene. A threat has been made against her family, but nobody will tell her anything--including the whereabouts of her husband, Vice President Nick Cappuano.